Your hair definitely dislikes the winter? Unfortunately, our hair does too. 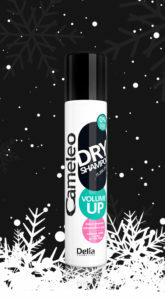 Suddenly it gets frizzy, dry and brittle and impossible to style, whilst getting greasy much quicker than usual. 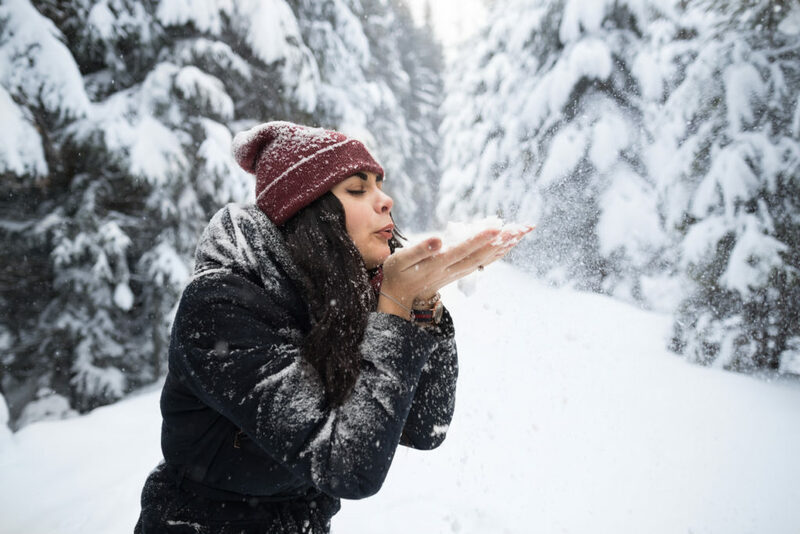 This is why we have prepared 10 ways to keep your hair beautiful even during the coldest weather and most unfavourable conditions. Try it yourself and share your experiences. Winter can be hard and it doesn’t matter whether your hair is long or short, curly or straight – you can be sure to experience issues during that period. Many factors contribute to that – rapid temperature changes, dry air inside and cold air and wind outside, diet poor in vitamins, hats made out of inadequate materials etc. As a result, day after day our hair stops looking how it should be – we are unable to style it, it gets frizzy and greasy much more quickly, catches static, becomes dry and brittle. 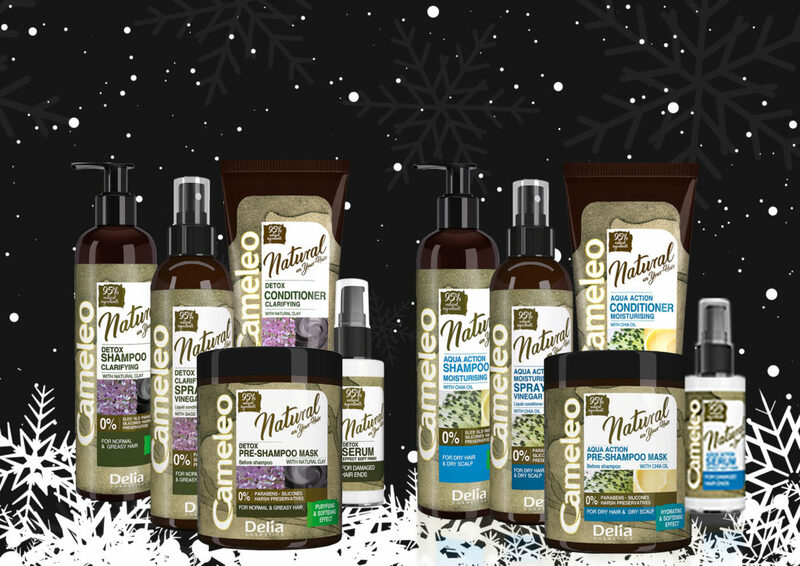 Caring for one’s hair in the winter shouldn’t be limited to specialist products but should include everyday activities that will help to maintain a beautiful hairstyle throughout the year. Cold outside = heating inside. We are prone to dry, warm air everywhere – our homes, offices, shopping centers and cars. Despite our lack of influence over many of those places, when at home, use an air humidifier or radiator humidifiers. You can use a few drops of essential oil that will fill the room with beautiful scent that will lift your mood and help your hair to grow quicker. We recommend: rosemary, orange and juniper. If you don’t own an air humidifier or radiator humidifiers, use a damp towel that will work as well. This reduces the problem of static electricity. In the winter you need to look at your hair slightly differently. If static electricity is not as much of an issue, try a gentle Natural line for everyday care. Once a week use a pre-mask Natural that will cleanse your hair form the remains of heavy styling products even before washing. Use hair conditioners regularly – those used in the winter should be ‘heavier’ than those used in the summer, rich in hydrating and greasing agents thanks to which your hair will be smooth and elastic. Hair conditioners that do or don’t require rinsing should mainly replenish deficiencies in moisture that result from temperature changes and protect hair from frost. If you like to leave your hair to dry naturally in the summer, avoid doing so in the winter. Damp hair exposed to frost are prone to freezing over, breaking and having its structure damaged. Always use a hairdryer and dry your hair thoroughly. If you consider hats your enemy, you will have to make nice. When temperature is below 0, wearing a hat not only prevents you from getting a cold but also prevents hair papillas from damage. Exposing your hair to frost can result in hair loss and damage to papillas. To avoid static electricity and deforming your hairstyle wear wide hats made out of natural materials. By using the argan oil repairing serum you bring together a couple of advantages. First off, you minimize the occurrence of static electricity and fizziness because the ingredients in the serum will smooth out hair structure. Additionally, you will protect those strands that stick out from underneath your hat from frost that are still prone to the effects of such low temperatures. Hydrated and conditioned ends make your hairstyle look healthier. Those unfortunate temperature changes and warm hats result in your hair getting greasy much quicker than usual. If you’re thinking whether to wash your hair more or less often in the winter, the answer is always the same – do it as often as you need. Use a gentle Natural line that won’t put a strain on your hair but will make it shiny and fresh. As mentioned above, using cold water for the last rinse also reduces the production of sebum and therefore stops your hair from getting greasy so quickly. To absorb excess sebum use a dry shampoo, that will help you prolong the freshness of your hair. Additionally, there will be less static electricity and your hair will be lifted up from the base (will come in handy after taking your hat off). Women with matte hair should think of rinse-offs that acidify hair – change its pH to more acidic and add shine. Rinse-off or vinegar spray Natural can close open hair scales which is extremely important during the Autumn-Winter season. Acidifying treatments result in closed hair scales, adding shine and retaining water much better. 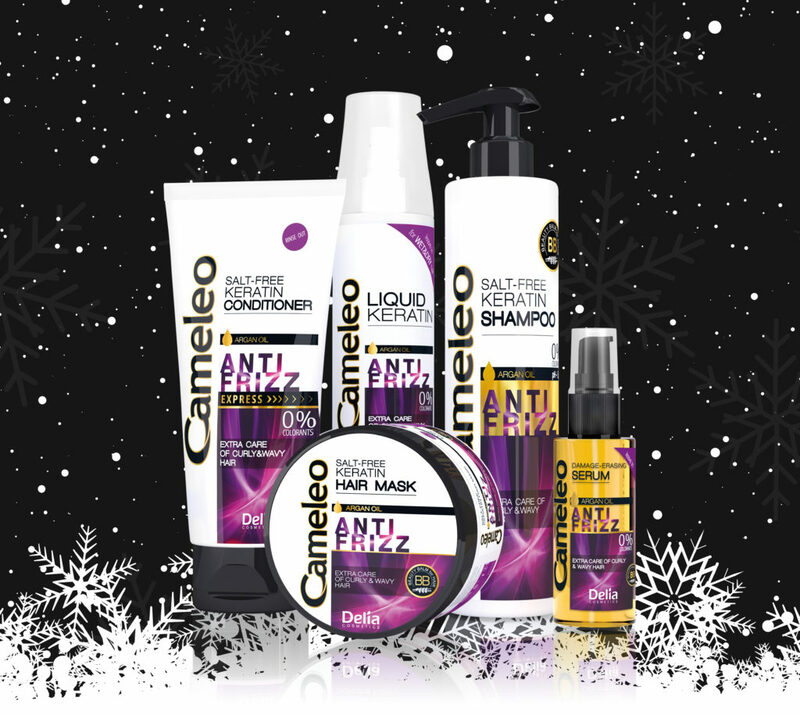 When styling your hair in the Winter, use product that contain silicones. They work wonders by protecting hair and reducing static electricity, as well as improving water retention. Products containing silicones will protect hair from low or high temperature, minimise fizziness and stop ends from splitting. Use them in moderation and your hair will be in great condition, protected from frost and warm, dry air inside. Don’t want to put a strain on your hair during the Winter and you dye your hair less often? To hide visibly growing roots use Cameleo grey hair and roots concealer that will allow you to prolong the intervals between dying whilst keeping a fresh look. Don’t forget about your diet. Winter diet is unfortunately poorer in vitamins and minerals, hence it is important to take extra care when it comes to eating. Include wholegrain, nuts, dried fruit and vegetables in the form of pickles and in cans. Additionally, you can use supplements: iron, zinc and vitamin B that will help to keep your body, and in turn, your hair, healthy. 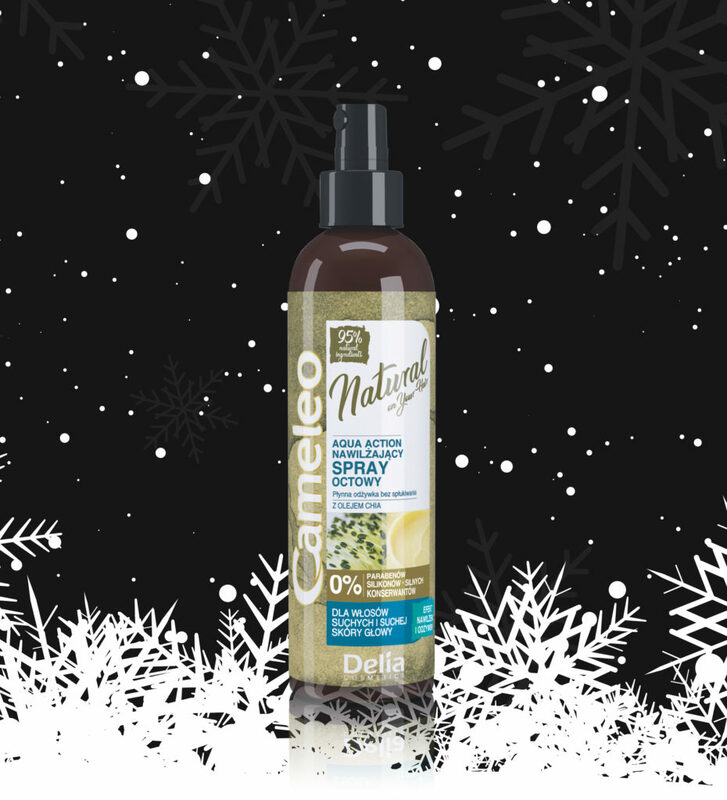 Do you have any other ways for strong and beautiful hair in the Winter? Share in the comments!